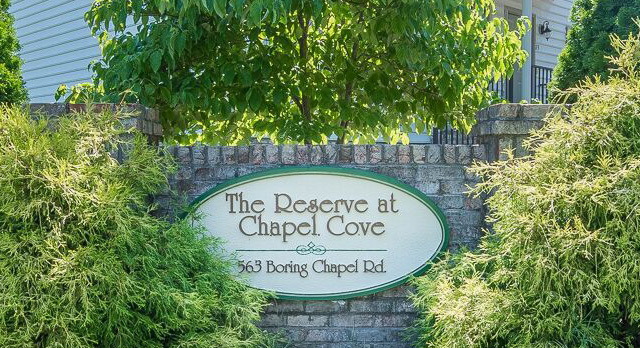 Experience the tranquility of country living with the convenience of the suburbs at Chapel Cove. 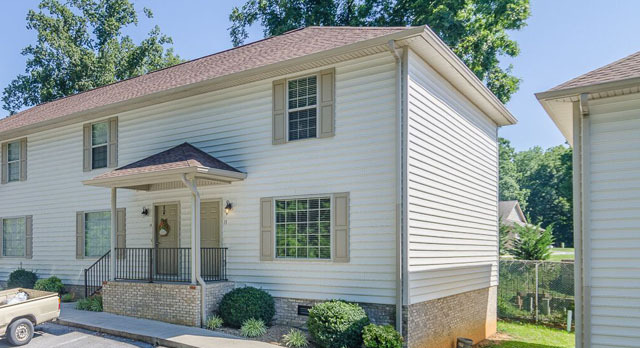 This Condo is located in the Boone Creek area of Johnson City and is minutes away from interstate 26 and all that Johnson City has to offer. 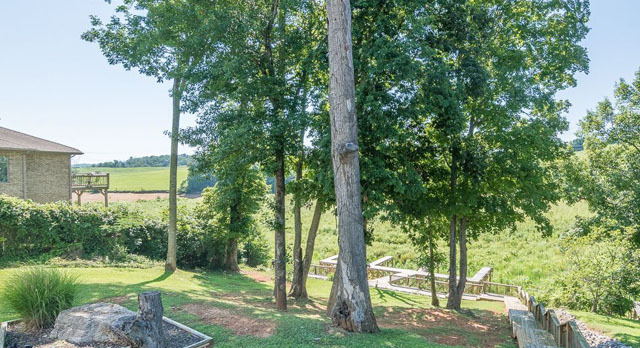 It’s located just 1.5 miles down Boring Chapel Road, 1 mile past Zak’s furniture on North Roan Street; an ideal spot for someone who wants to be between Johnson City and Gray. 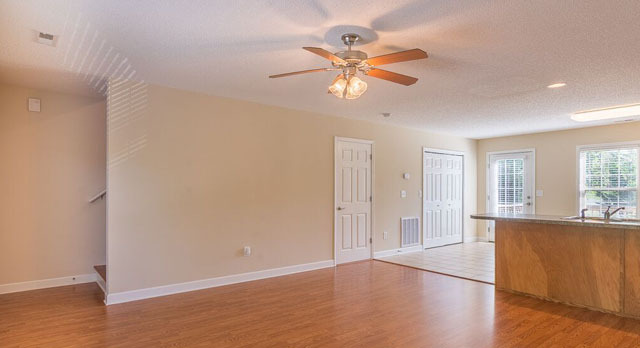 This condo is 1,200 square feet and features 2 spacious bedrooms with 2 bathrooms upstairs and a ½ bathroom downstairs. The main floor features hardwood flooring in the living room and on the staircase leading upstairs with tile in the kitchen. 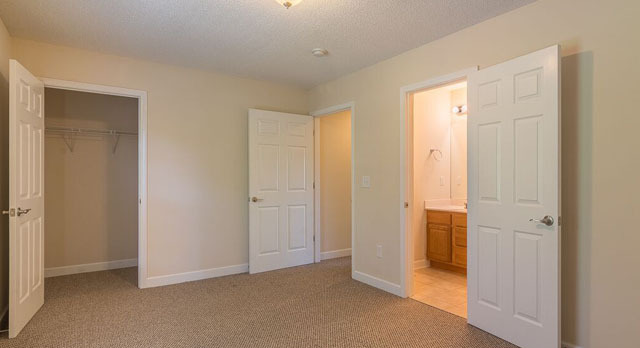 All rooms on the main floor are open to each other to provide a spacious and clear living environment. 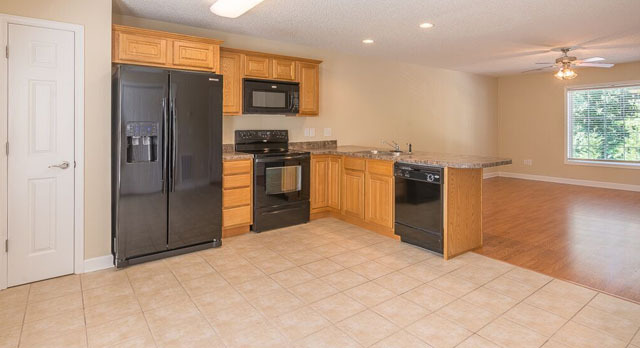 The kitchen has beautiful granite counter tops with matching appliances. Washer and dryers are only a few years old, located on the main level and are included in the rent. Also included in the rent are water, sewer and trash pickup. This home includes our 24-hour emergency maintenance, high speed internet access, off street parking and short term leases. We even offer online payments and resident services, so you can easily manage your payments from anywhere you have your computer without the hassle of having to mail a check off. You can even submit an application online. Chapel Cove is pet friendly, with some restrictions. We have a 2 animal maximum and require a one-time fee of $300 for the first animal and $200 for the second. We also charge an additional fee of $15 per month for the first animal and $25 for the second animal. We do have some restrictions on breeds and other restrictions may apply, so please contact us for complete details on our animal policy.